To me, bluegrass is a lot like jazz—a genre that feels a little exotic from my decidedly rock-oriented perspective, but not so much as to be unreachable. It’s music I can find my way inside; it just requires a little more effort. If you’re into bluegrass, you’ve likely known about Cody Kilby for some time (and if not, here’s a chance to get educated). As Sally Jones tells it on this album’s liner notes, “he picked up his dad’s banjo at age 8 and by the time he was 11, he had a Gibson banjo endorsement. He started playing his mom’s guitar at 10, and by 17, he was the National Flatpicking Champion. He added mandolin and Dobro around age 13.” Kilby’s one and only solo album prior to Many Roads Traveled was 1997’s Just Me, recorded when he was 16 years old. In the interim, Kilby has worked with a small battalion of top-tier country/bluegrass artists, notably Ricky Skaggs, Rhonda Vincent, Earl Scruggs and Sally Jones. The approach Kilby chose for his second solo disc is interesting, trading off between instrumental numbers and vocal numbers where he’s joined by a few of the many notable vocalists he’s worked with over the years as a sideman. The effect this back-and-forth approach has is to underscore Kilby’s talent by demonstrating that he can play like a champion in either context. On the instrumental numbers he tends to be more of a leader, but he’s still fully engaged and interacting heavily with the other players. On the vocal tracks he’s naturally in more of a supporting role, but his guitar and banjo playing remains impossible to miss. It doesn’t overstep or oversell, but still shines at every opportunity, because every fill and line of picked notes supports the song and drives it forward. Many Roads Traveled opens with a superb jam (“Welcome to China”) in which Kilby matches melodic wits with world-class dobro player Jerry Douglas, as well as the superb Stuart Duncan (fiddle) and Andy Leftwich (mandolin). If there’s such a thing as progressive bluegrass, this is it; “China” is a four-minute instrumental with multiple musical segments, opportunities for each player to distinguish themselves, and a real shared joy in the virtuosity of their playing. The other instrumentals are equally entertaining, with two (“The Right Hand” and “Fiery Gizzard”) featuring pianist Bruce Hornsby trading light-speed solos with Kilby. The latter in particular finds Kilby spinning off complex picking runs on both acoustic and banjo like he’s popping popcorn. The vocal numbers find Kilby molding his playing to the song and singer. Thus the Ricky Skaggs number (“Choo Choo Coming”) has a gritty, down-home feel, whereas the Sally Jones (“She”) and Rhonda Vincent (“North Carolina 1943”) numbers take a gentler, more lyrical and melodic approach. The vocal songs on Many Roads Traveled are decent showcases for the players and vocalists, but I wouldn’t call any one of them a standout, and while they provide a welcome cleansing breath between the instrumentals, it’s on the latter tunes that Kilby truly shines. Bottom line, while the songwriting is somewhat uneven, the quality of playing on this album is simply jaw-dropping; it’s a virtuoso turn by a sublimely gifted player. 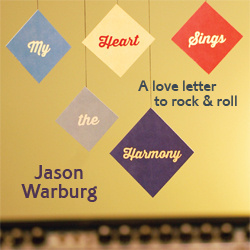 © 2011 Jason Warburg and The Daily Vault. All rights reserved. Review or any portion may not be reproduced without written permission. Cover art is the intellectual property of Independent release, and is used for informational purposes only.